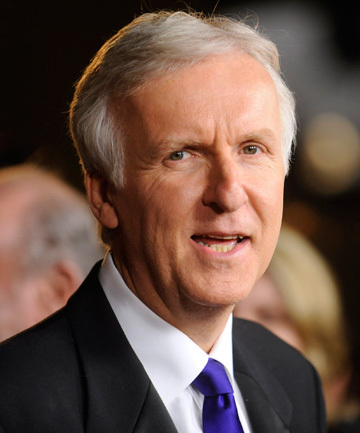 Hollywood director James Cameron paid about $20 million for two large rural properties, whose purchase was confirmed yesterday after they were given the green light by the Overseas Investment Office (OIO) in December. Cameron has bought more than 1000 hectares of land in remote South Wairarapa with a view to moving there "indefinitely" with his family. One of Cameron's new properties is a low-lying 250-hectare dairy farm, sold by Heather and Rob McCreary, which runs along the southern end of Western Lake Rd. The other is a much larger 817ha hillside property overlooking Lake Pounui, where it is thought likely Cameron will build a house. 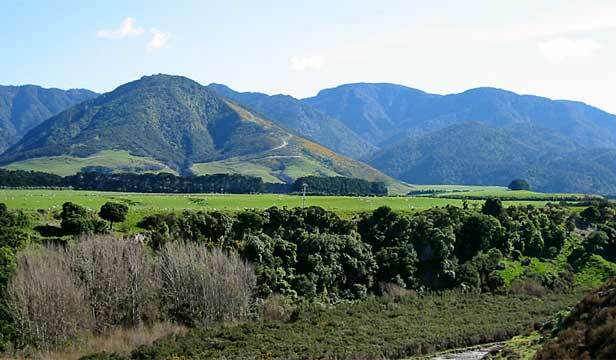 James Cameron purchased two plots of land along Western Lake Rd in south Wairarapa. The property includes large sections of native bush, much of it covered by covenant, and was sold by Bill and Annette Shaw, who started the nearby luxury resort Wharekauhau Country Estate. The owners of the two properties are not commenting on the sales, citing strict confidentially agreements. Mr Shaw said he had been "sworn to secrecy", while Mrs McCreary refused to comment. KING OF WAIRARAPA: James Cameron is buying over 1000 hectares of land in remote South Wairarapa. Cameron, a Canadian who is thought to have New Zealand residency, is expected to come to New Zealand later this year to start work on two sequels to Avatar, the biggest-grossing movie on record. Avatar was made with Wellington's Weta Digital, which provided the visual effects for the film and won an Oscar for its work. But OIO documents released yesterday show that Cameron's New Zealand connection will be more than just a working one. "James F Cameron and his family intend to reside indefinitely in New Zealand and are acquiring the property to reside on and operate as a working farm," it says. One of Cameron's new neighbours, who did not want to be named, said people had known about the sale for "a little while". "Those who are involved haven't said anything because of all the secrecy, but people around here have been talking." She said she was yet to met the film-maker, although he is known to have visited the properties at least once. "I don't know the man, I've never met him, so I don't know if he's good, bad or indifferent. "If these people come here to live and be a part of our community, then I would have absolutely no problem with that. "But if he's just here as an overseas absentee landowner, then I have reservations." Another neighbour, Dougal MacKenzie, said the hillside property featured uninterrupted views over Lake Pounui and out to the sea beyond, and backed on to forest park land. "It's about as private as you can get." The two properties are on the western shore of Lake Onoke, on a rural road 35 kilometres southwest of Featherston. While the properties are a 90-minute drive from central Wellington, they are just a 10-minute helicopter ride from Wellington Airport. They are also just minutes down the road from Wharekauhau Country Estate, a favourite of Wairarapa's other famous film-makers, Sir Peter Jackson and wife Fran Walsh, who own an estate outside Masterton. Wharekauhau is a private country lodge with cottages, suites and self-contained houses on 2023ha of rolling coastal farmland. The resort was sold in 2010 and the surrounding land in 2011, with American businessman William P Foley II the major shareholder. Destination Wairarapa director Barbara Hyde said she was not surprised to hear of the move. ''People who come from overseas to work in the film industry come to Wairarapa for the weekend - just like Wellingtonians do - and they love it here. ''It has the benefit of being close to Wellington for filmmaking but is very different in style and lifestyle. She said Wairarapa, as well as Wellington, had long been associated with filmmakers. South Wairarapa Mayor Adrienne Staples said the arrival was a coup for the district. She said she had no idea Cameron was coming before it was revealed yesterday. Federated Farmers were also quick to welcome the country's newest dairy farmer. National president Bruce Wills said it was positive Cameron's application to the Overseas Investment Office mentioned that he planned to maintain a working farm. ''The hope we have from skilled immigration is that it betters the whole community.